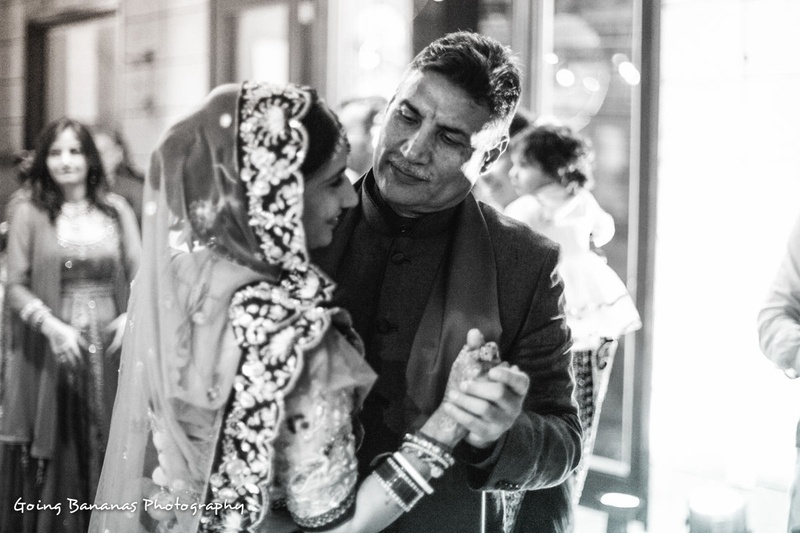 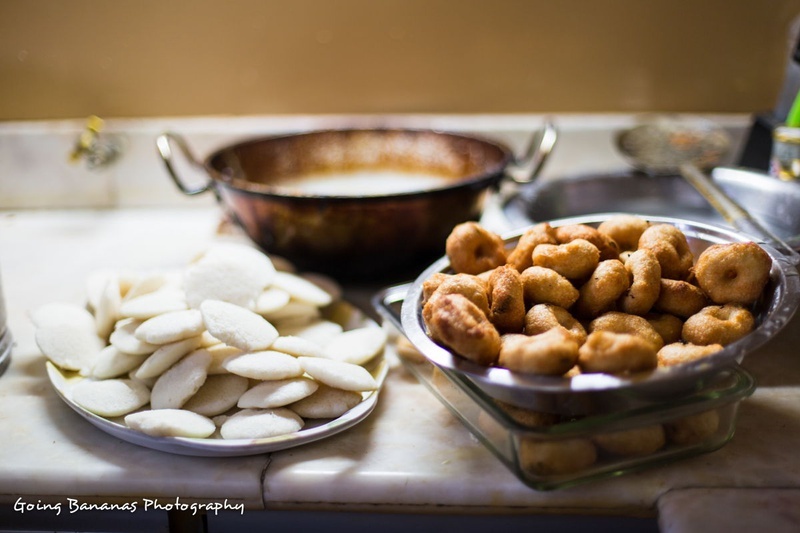 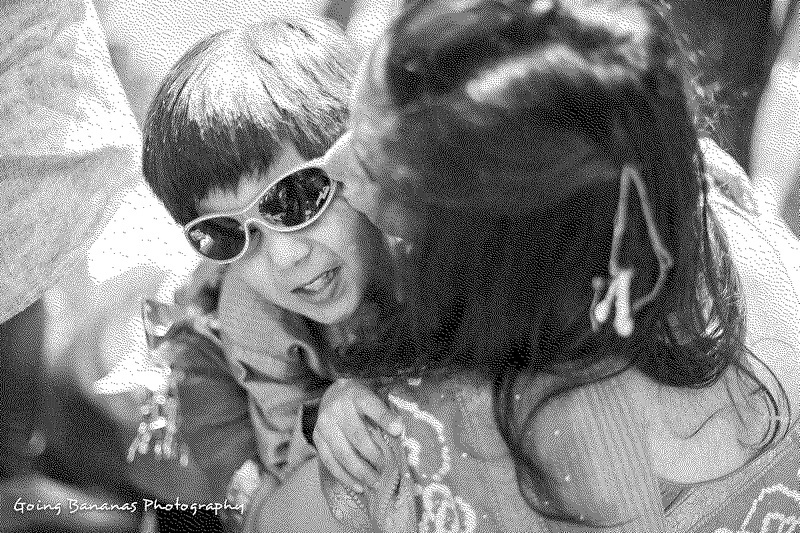 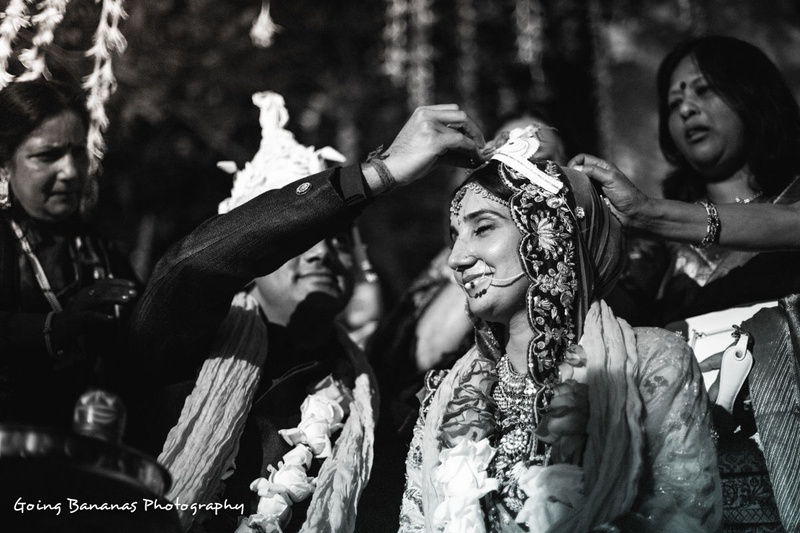 An age-old Bengali proverb states that they have twelve seasons but thirteen occasions to celebrate, and 'marriage' is one of them. 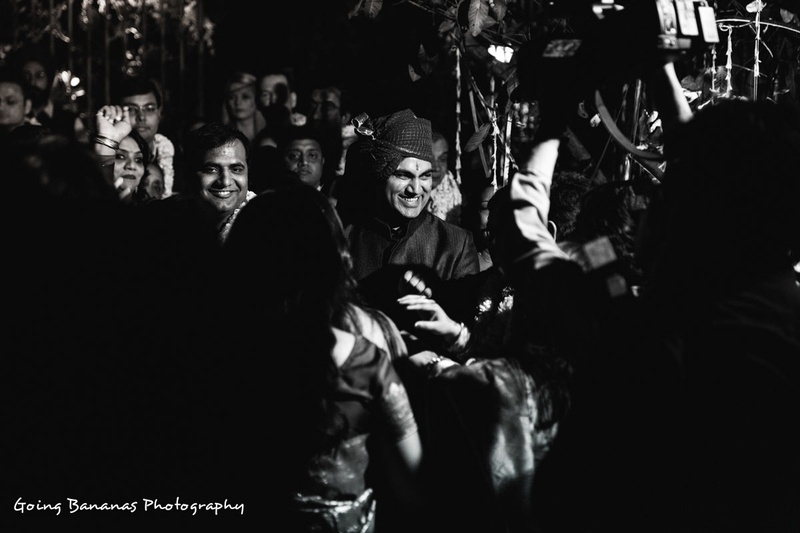 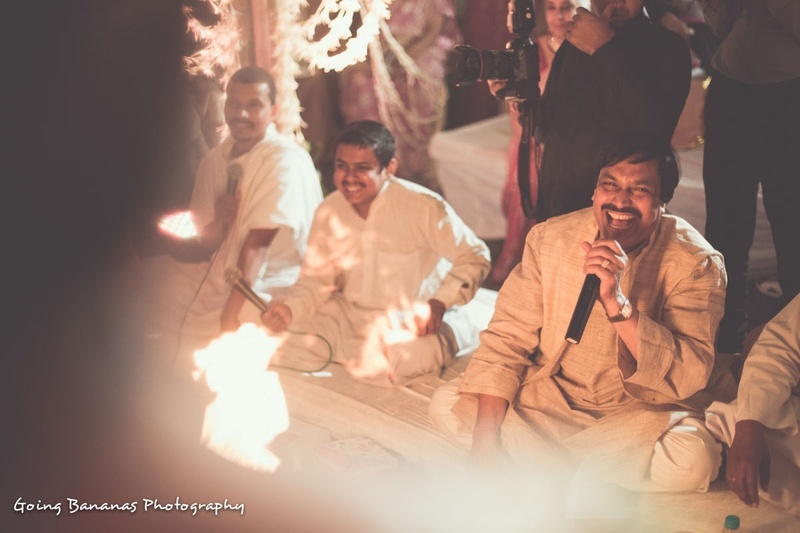 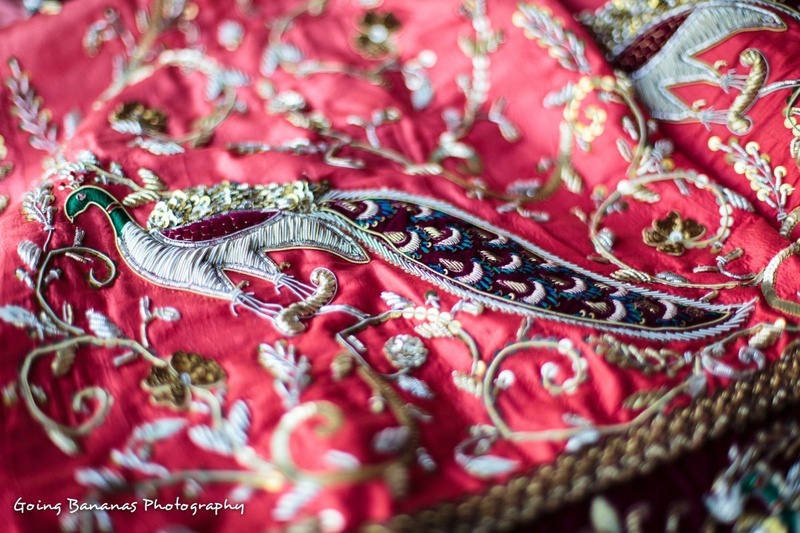 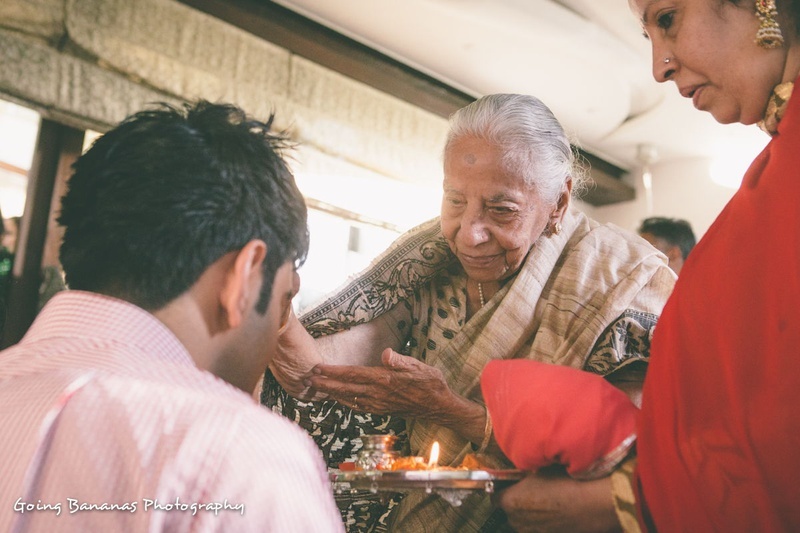 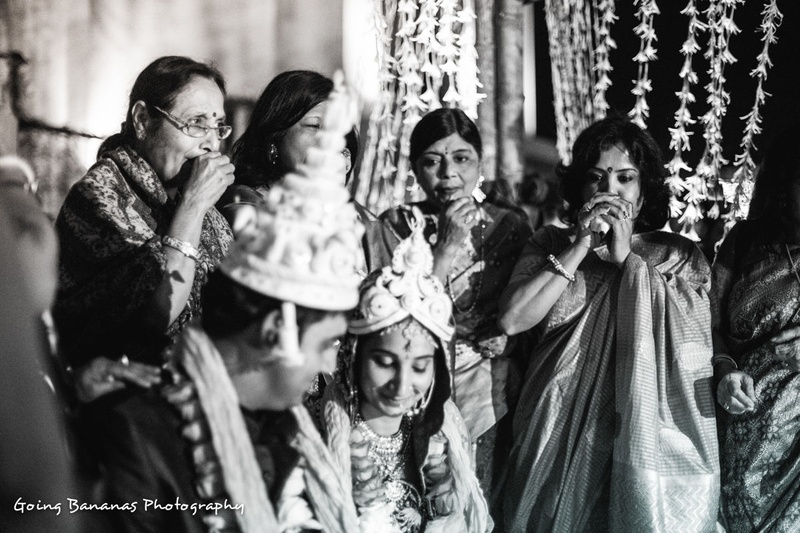 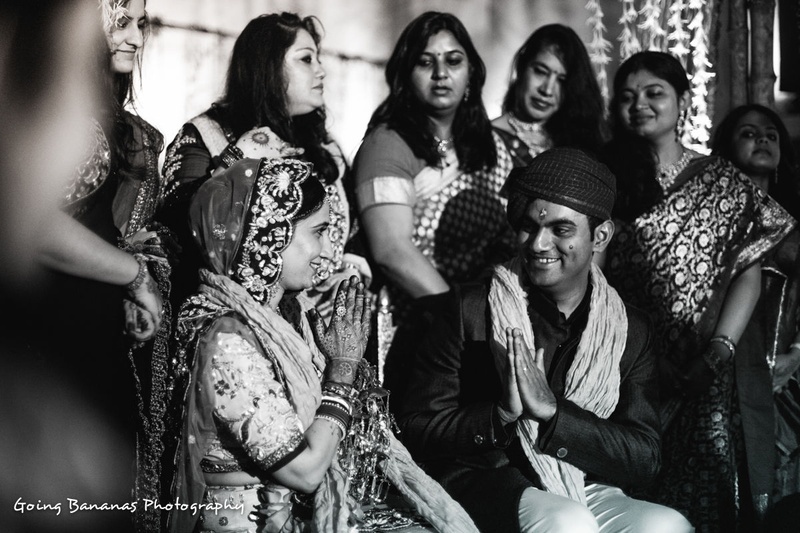 Weddings are an auspicious occasion in any community, but this Bengali wedding was done with uniqueness and style, right from the rituals to the exquisite décor. 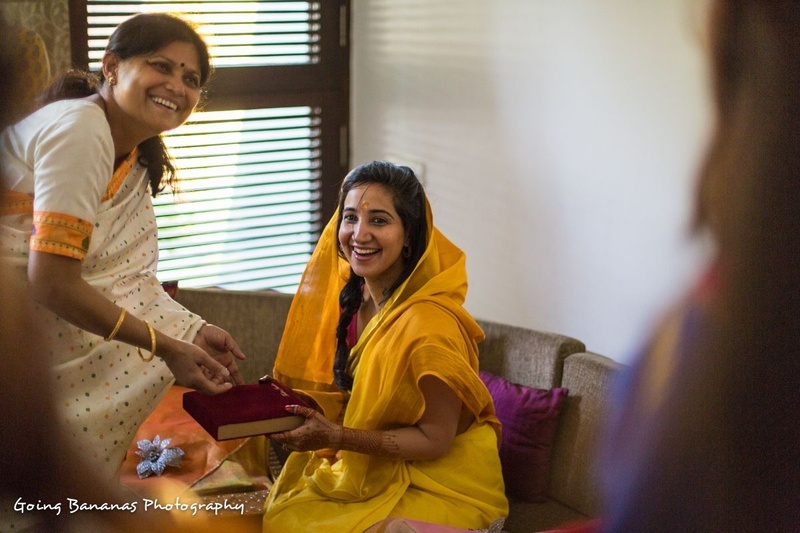 Shradha’s choice of outfits for each of the pre-wedding rituals were unique in their own way. 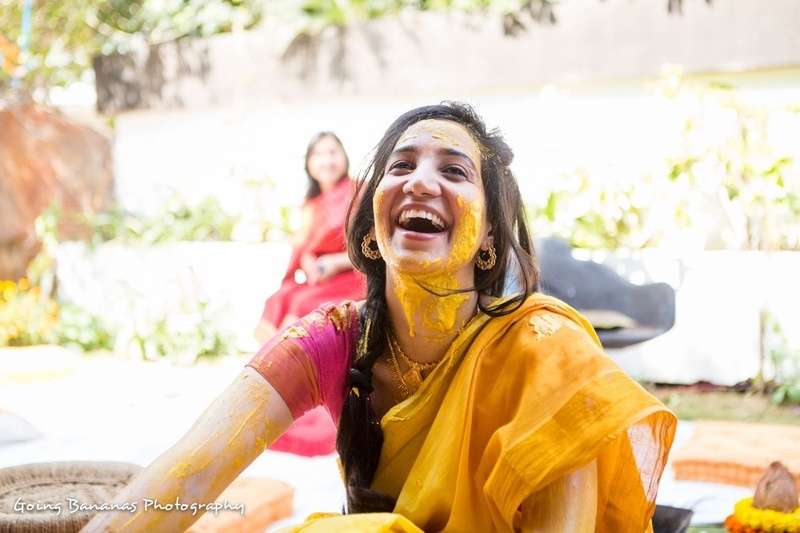 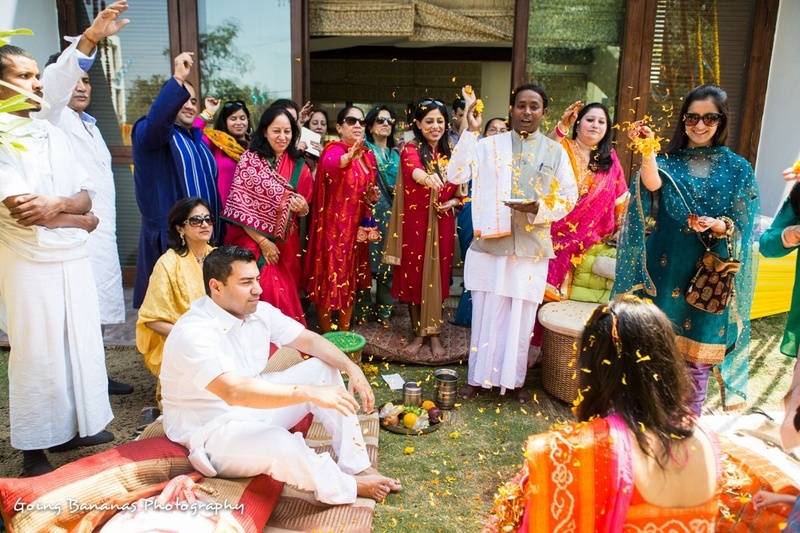 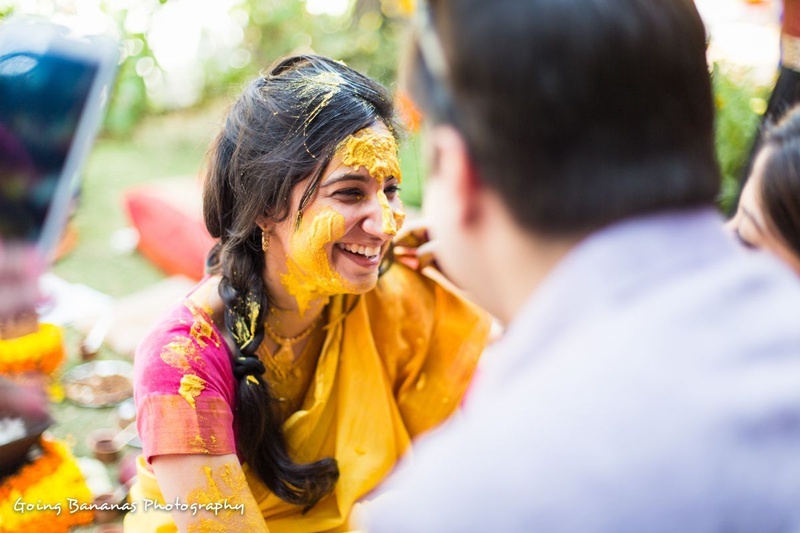 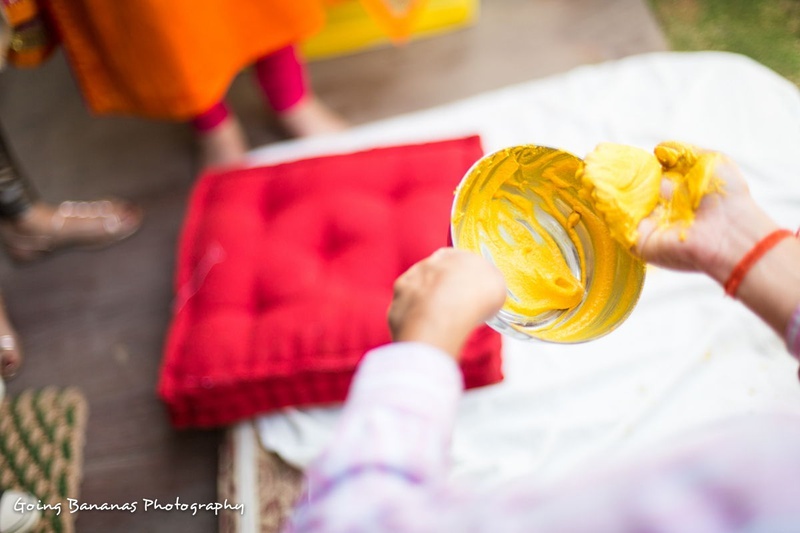 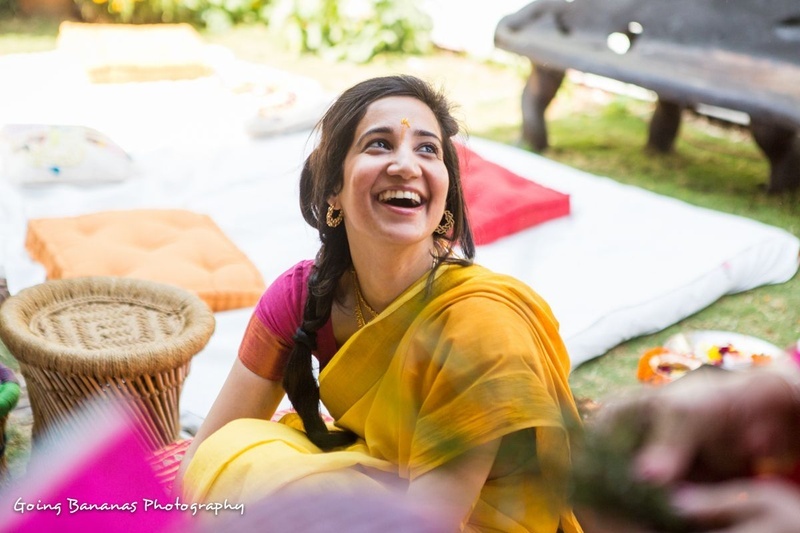 The sunny yellow cotton saree and contrasting fuschia pink blouse was a perfect pick for her backyard day-time haldi ceremony. 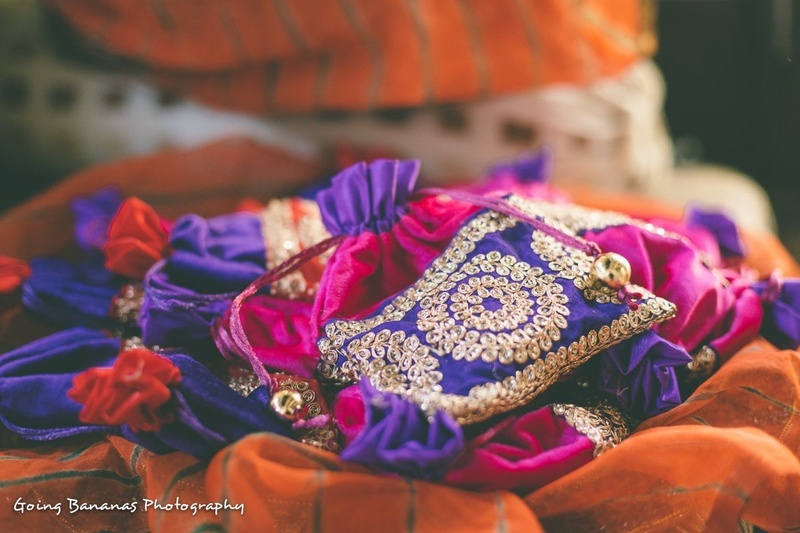 The elegant pachikam jewellery she wore at her mehendi looked absolutely stunning with her purple and maroon lehenga-choli. 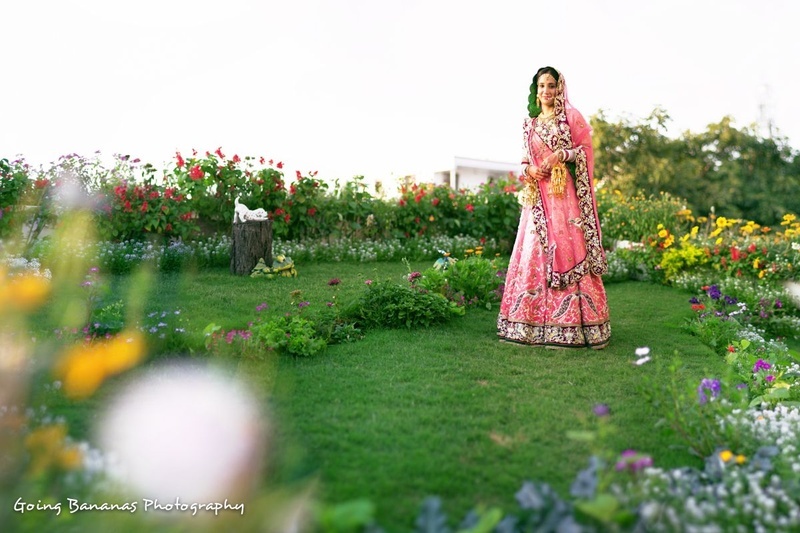 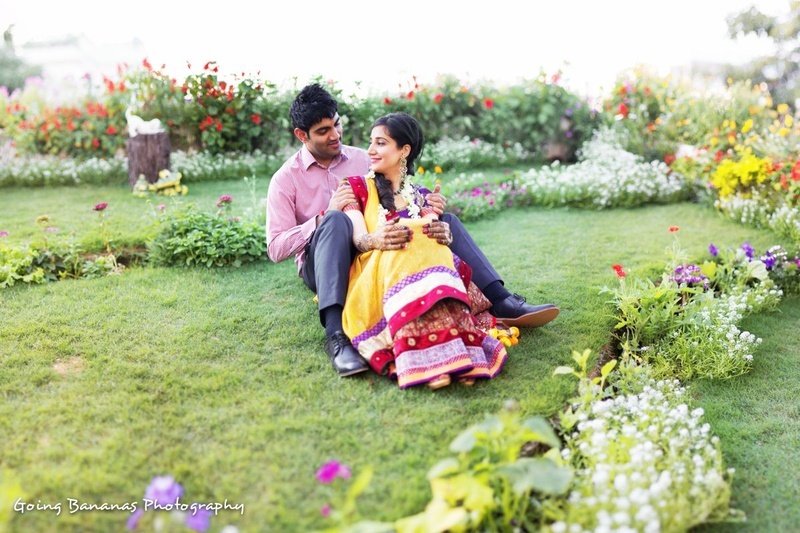 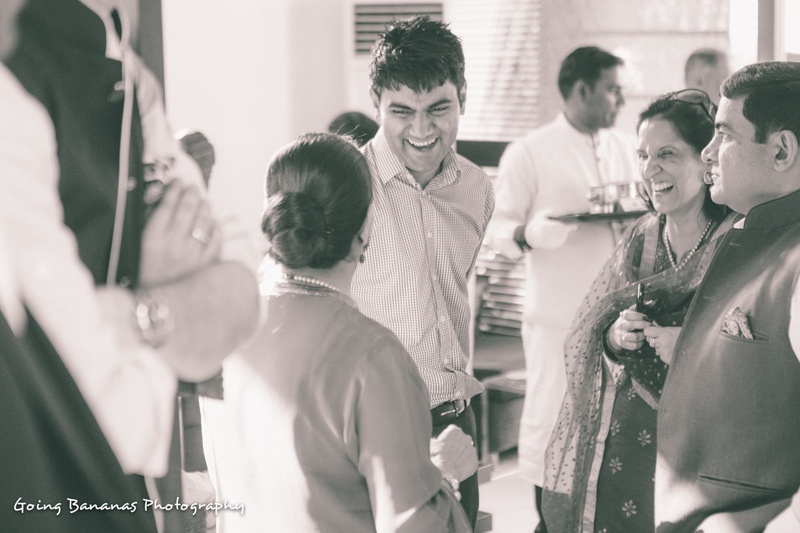 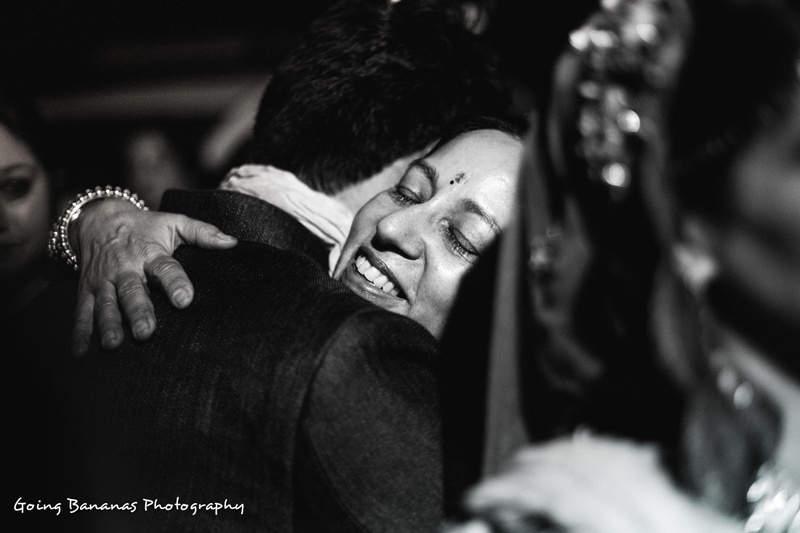 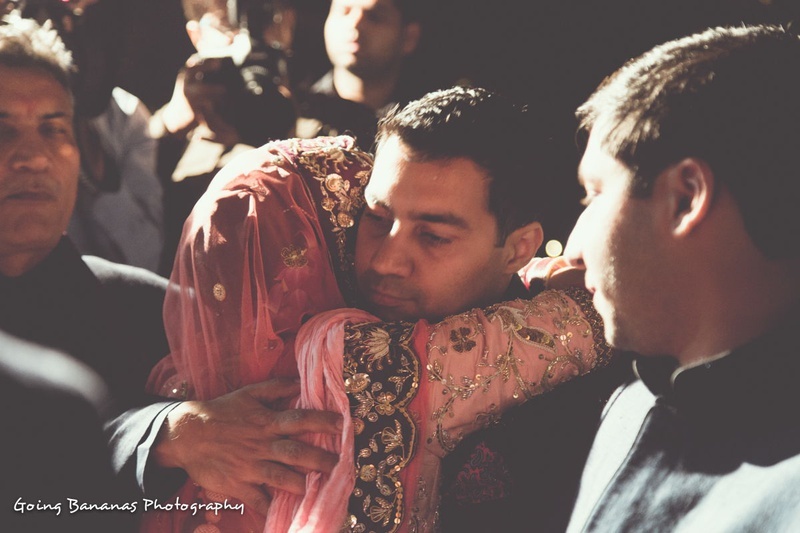 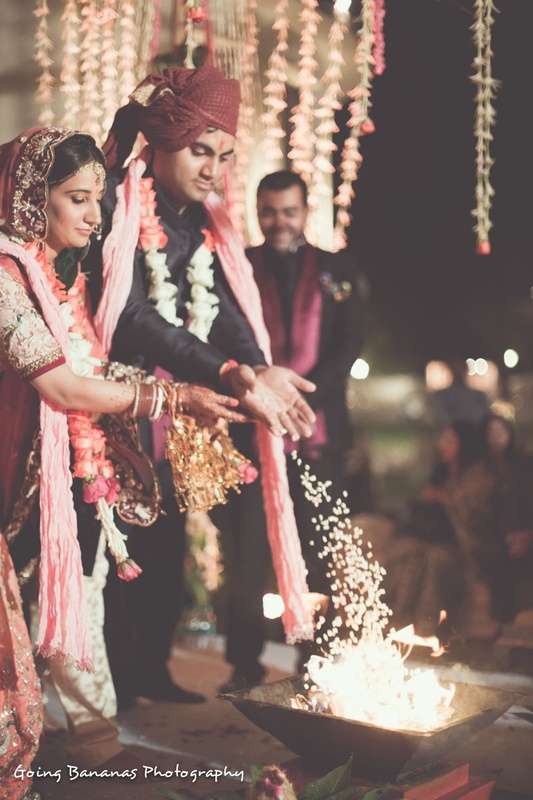 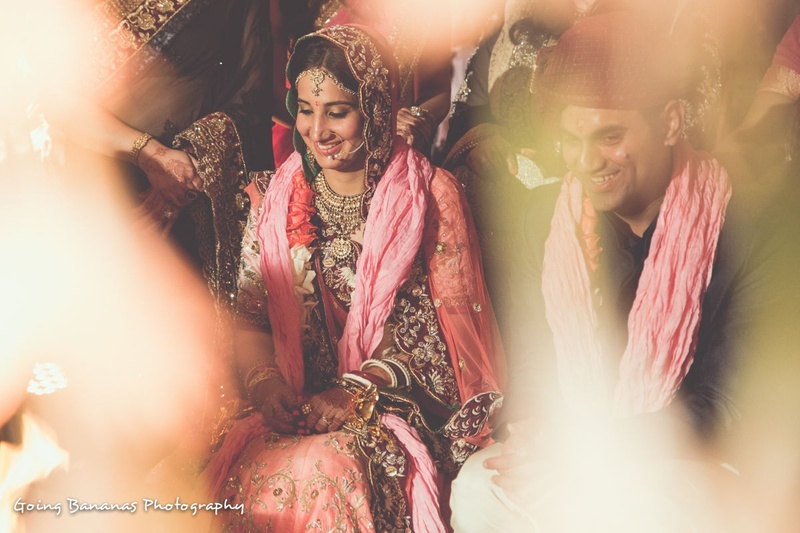 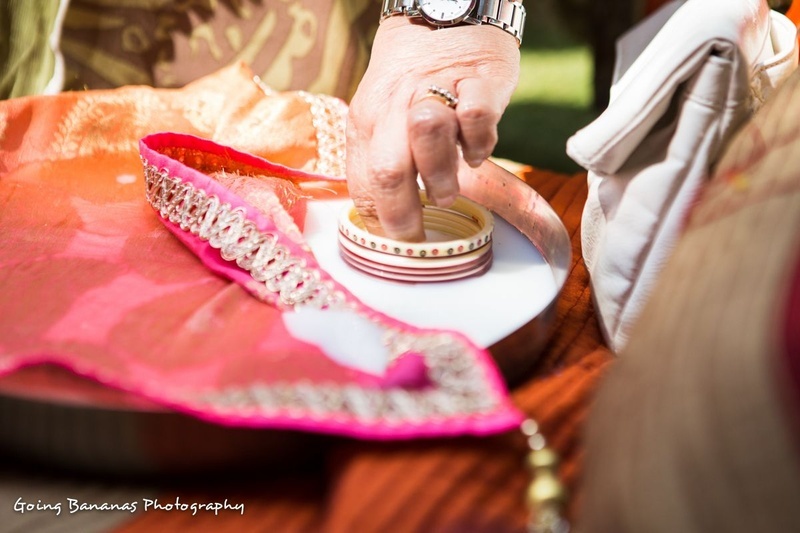 But, when we saw her blush pink bridal lehenga, we were stunned! 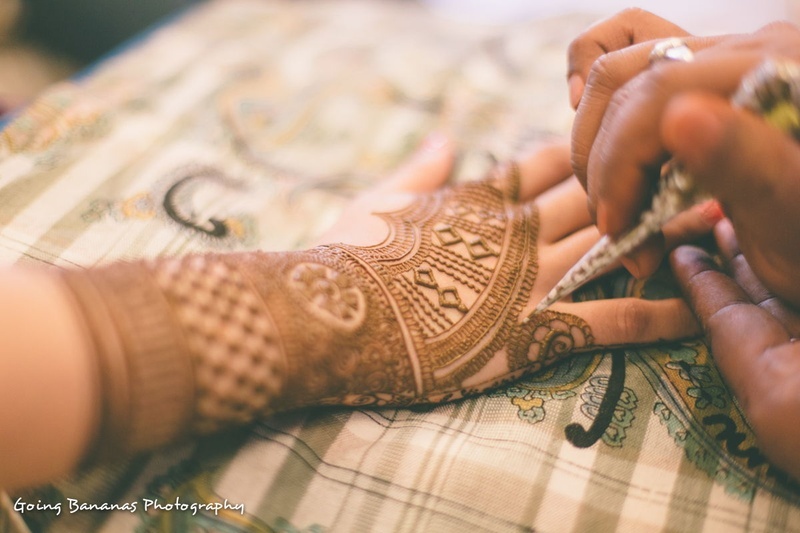 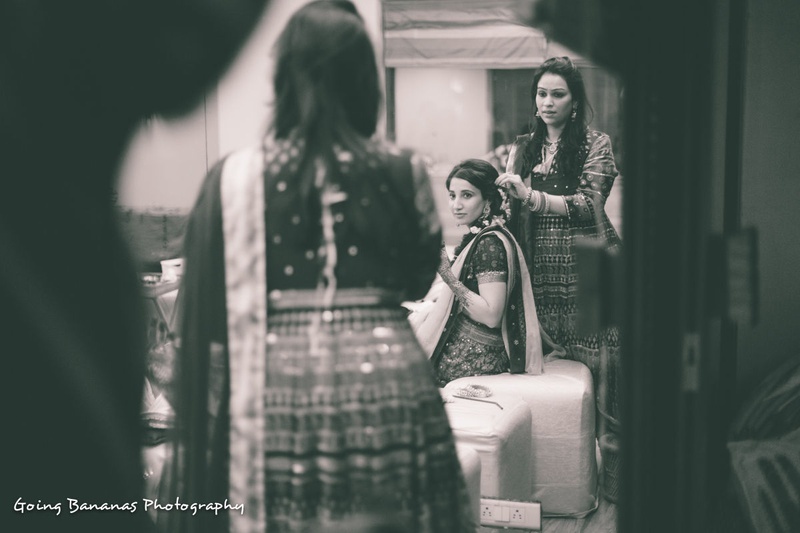 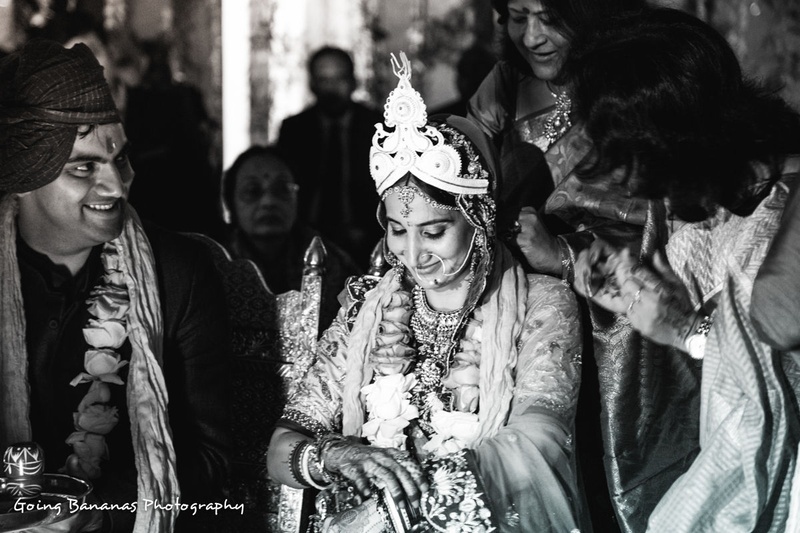 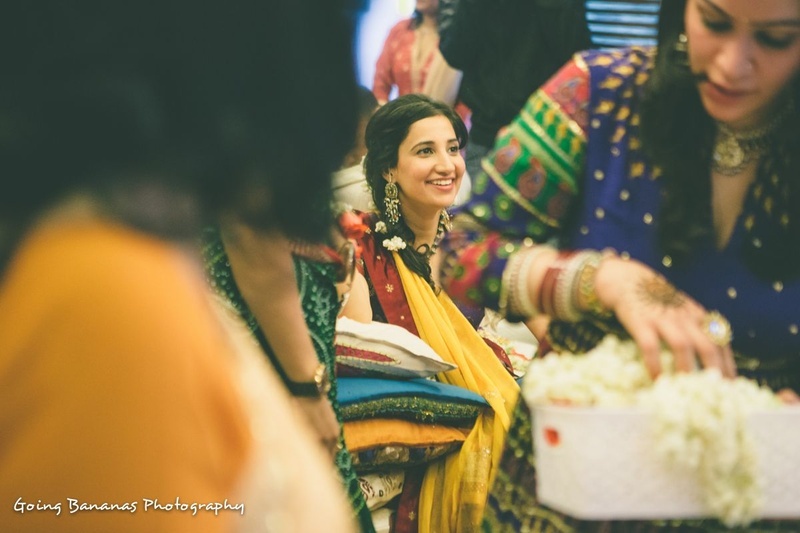 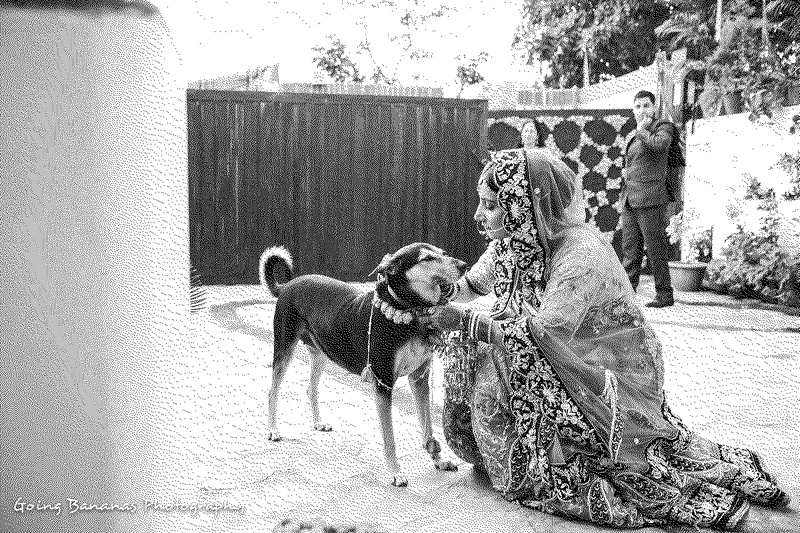 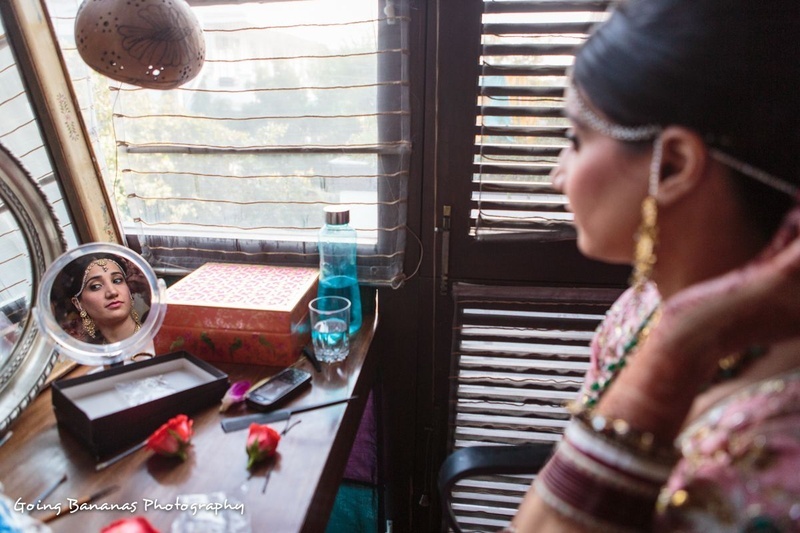 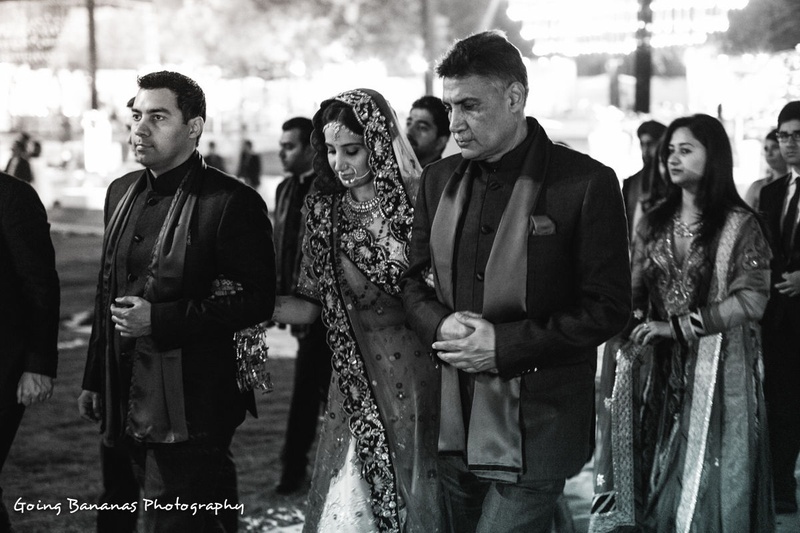 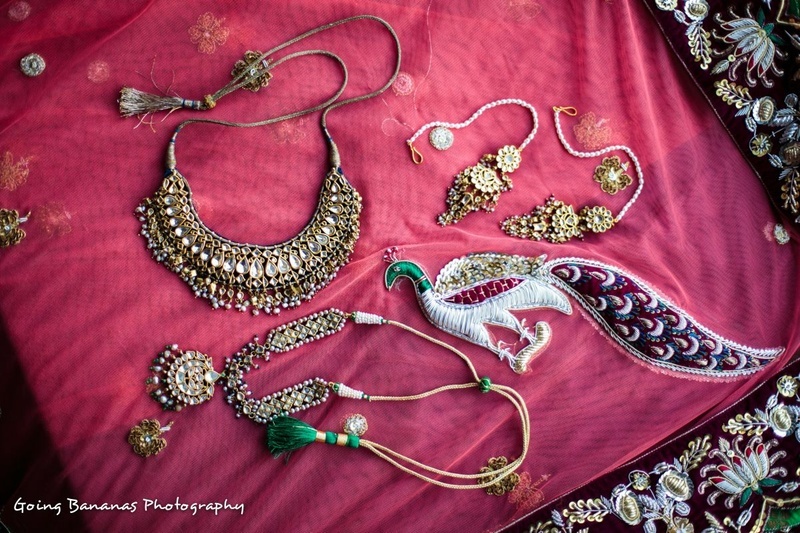 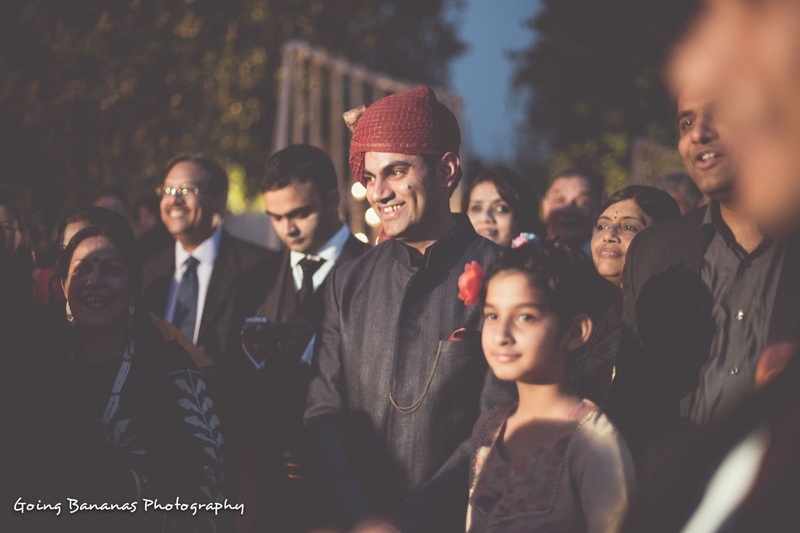 This beautiful bride went all out with the style quotient on this one. 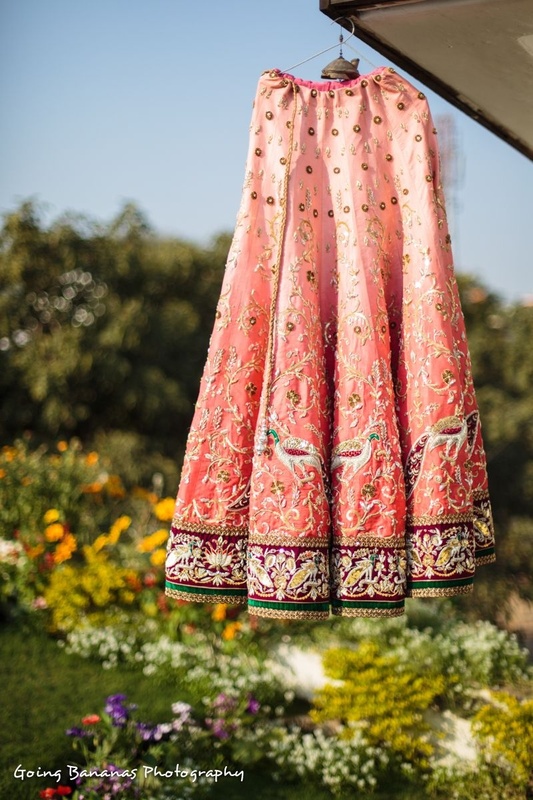 Her wedding lehenga was intricately embellished with zardozi work and featured bold peacock motifs along the base and border – what a brilliant way to make a statement with your lehenga! 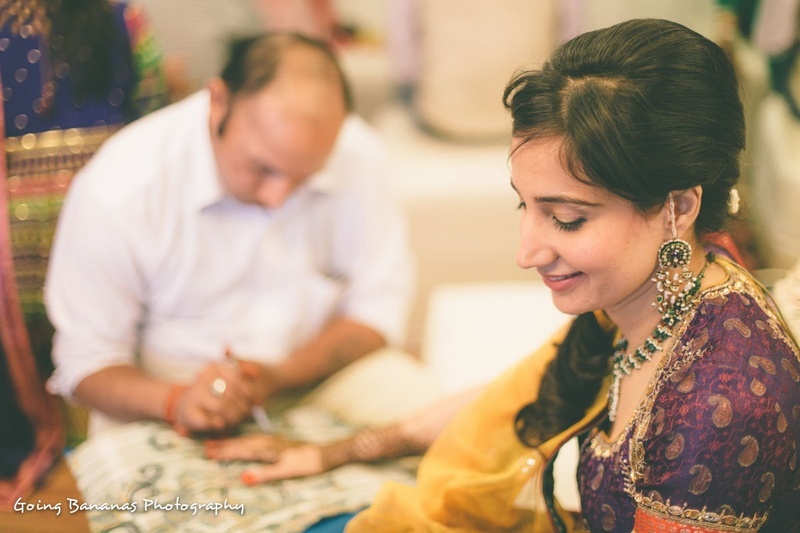 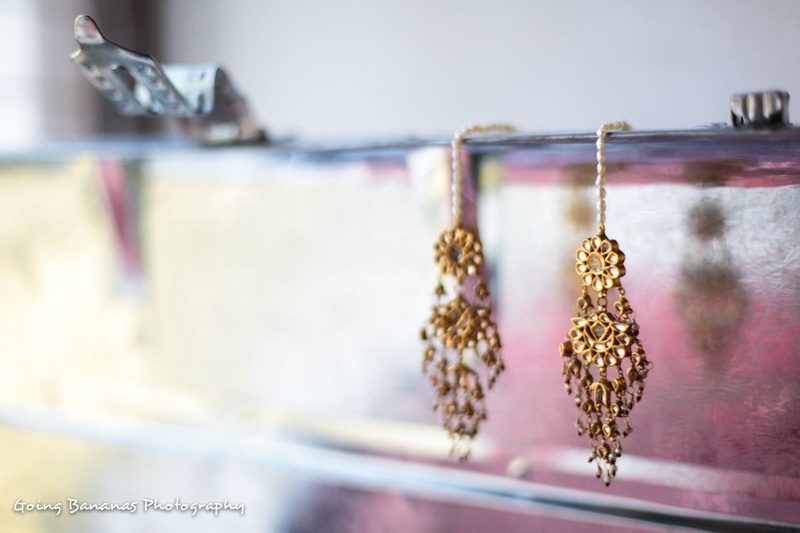 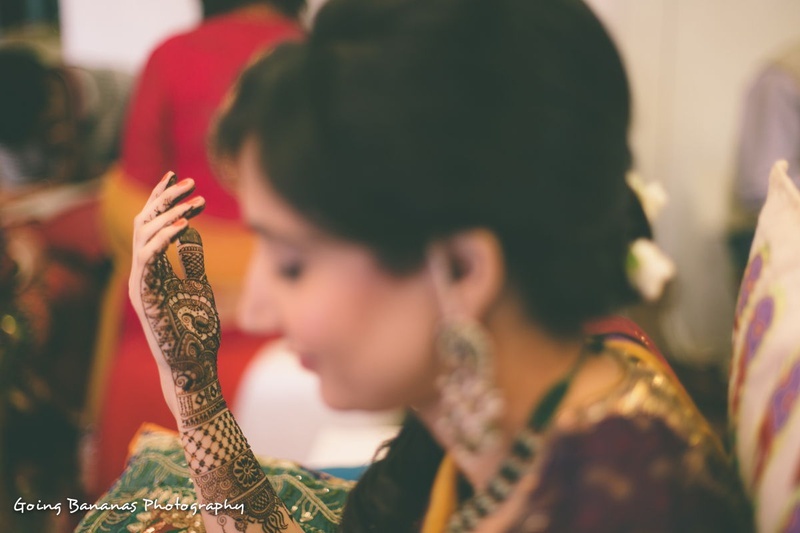 This bridal outfit paired with her antique jadau jewellery made her look like the quintessential modern Bengali bride! 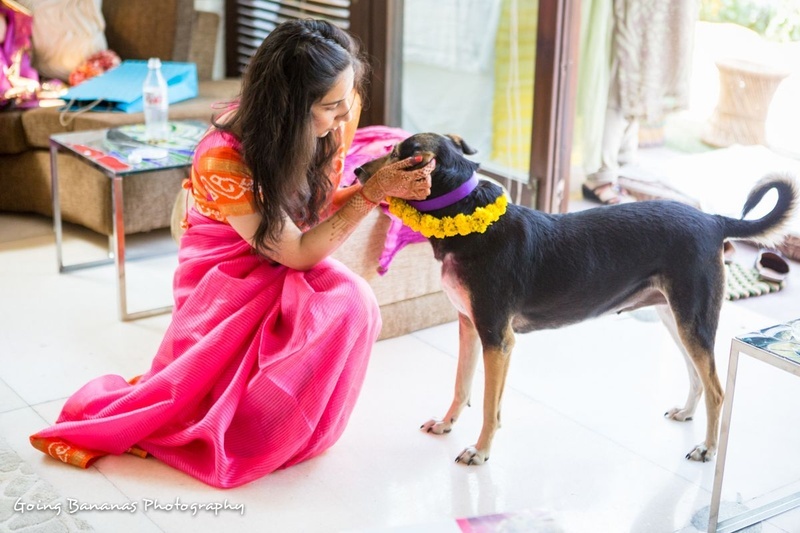 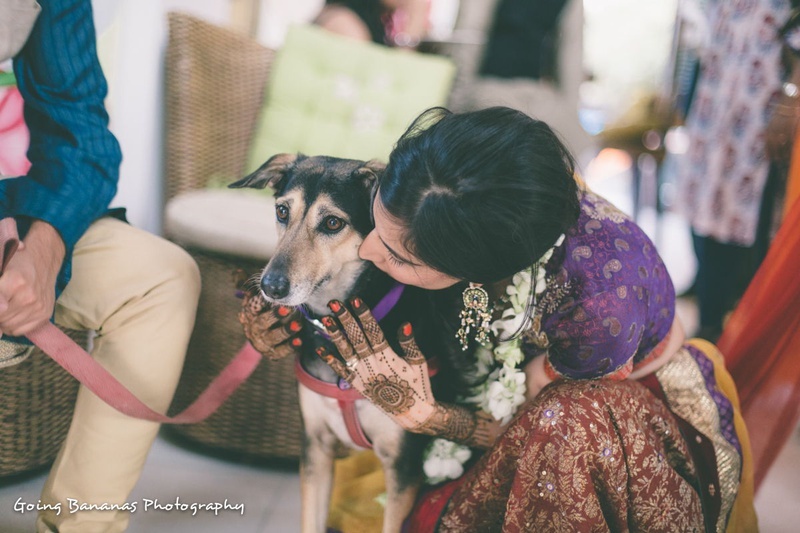 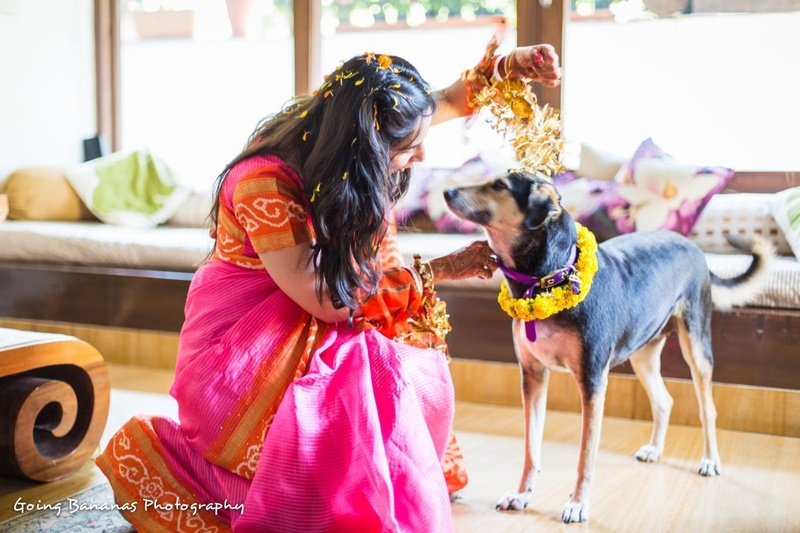 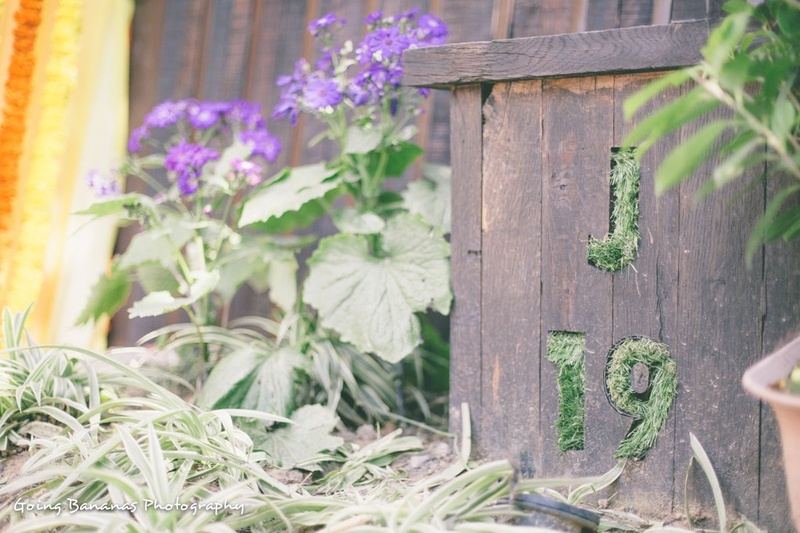 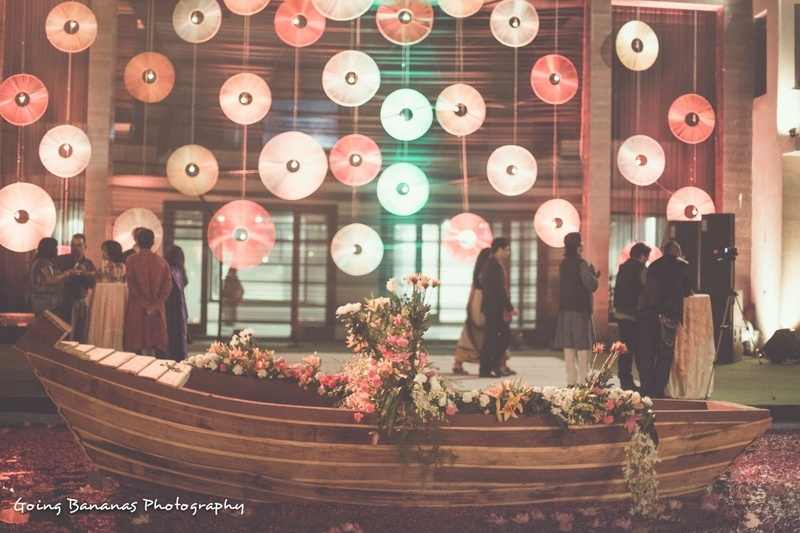 The wooden boat decorated with flowers, disk-like dangling lights and unconditional love from the bride’s canine confidant were a few of our favorite bits from this wedding celebration, so flawlessly captured by Going Bananas Photography – take a look yourself!